Visitors with fancy yachts and sailboats are often seen docked at the harbour in the resort town of Tobermory, Ontario. Tobermory, Ontario is a resort town with two harbours, Big Tub and Little Tub, where there is plenty of moorage space for luxury yachts and sailboats. Every year the town of Tobermory located at the tip of the Bruce Peninsula is filled with boats as they love the aura and outdoor activities that surround the area. Tobermory, National Park, Bruce Peninsula, Ontario, Canada, North America. 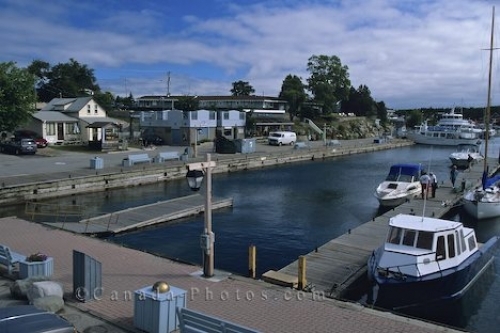 Picture of the luxurious harbour in the town of Tobermory, Ontario located at the tip of the Bruce Peninsula.